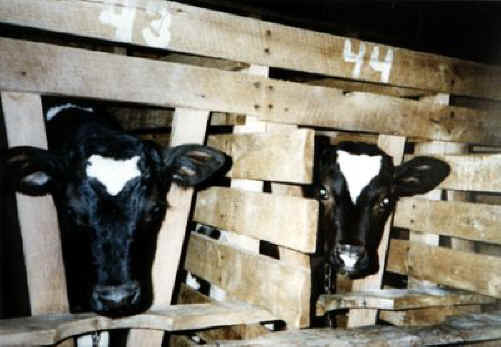 (Cattle Exploitation - Veal - 03) These calves are confined in crates that are only two feet wide, so that the calves can barely move, in order to prevent the development of any muscle tone that might toughen their flesh. Furthermore, God brought every animal He created to Adam to give it a name, just as we give names to our children and our companion animals. 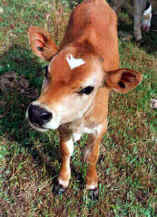 But these calves are deprived of that compassionate gesture; they are given numbers only.